If you’ve been considering replacing your missing teeth with implants, there’s no need to travel overseas for your dental work. Dental Implant Solutionz in Largo, FL makes it easier and more affordable than ever before to enjoy a permanent, healthy smile. New patients – book your first visit with us today. We ask that you reserve approximately one hour of your time for your visit. 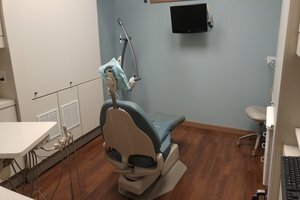 During your appointment, we will take a full-mouth x-ray to assess your smile’s needs, examine the health of your teeth, gums, and bone – and provide a healthy smile cleaning if you are free of gum disease. Ask About our New Patient Special – Just $59! If you need to have a procedure performed, such as LANAP laser gum treatment or a hybrid denture, we’ll discuss all aspects of your treatment as well as the discounted fees available. Our Largo implant dentist works closely with you so that you spend the least money for your dental implants as possible. It’s never been so affordable to enjoy a healthy new smile! In fact, we’ll even walk you through filing your own insurance claims, so that your treatment costs less than other implant dentists in the area. 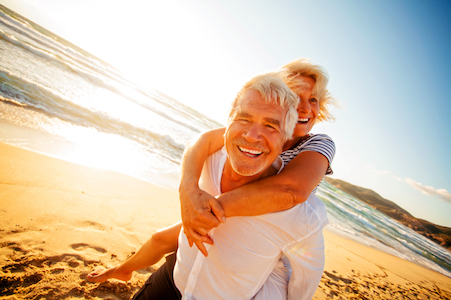 Our single dental implants and crowns start as low as $2,600, and hybrid dentures as low as $6,950. Don’t worry – there are no hidden fees. We even offer convenient sedation options so that you can “nap” right through your visit. Choose the best one for your comfort level – including oral sedation, IV sedation, and nitrous oxide (laughing gas). Not sure where to start? We can help. Our implant dentist is committed to making your process as smooth as possible, providing alternatives to conventional surgery and extensive treatments. It’s all about you and your expectations! Call us today to schedule. CareCredit Financing is also available. Call Our Largo Implant Dentist Today!